Uinta offers a wide array of beers and taste them on tap in Uinta's on-site Brewhouse Pub. Hours: Monday through Friday 11 am - 7 pm. Serving lunch 11 am - 3 pm. 1722 So. Fremont Drive 2375 West. Must be 21 to enter the Brewhouse Pub. 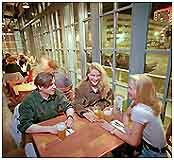 Downtown casual restaurant brewing fresh beers and sodas and offering a wide variety of fresh menu items. Children welcome. Sunday-Thursday 11am-midnight. Friday & Saturday 11am-1am. Brunch Sat-Sun. Unwind and relax on the top of Main Street in Park City at Wasatch Brew Pub. 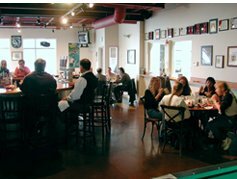 A local favorite since 1989, Wasatch Brew Pub serves its award-winning beers on draft and a full lunch and dinner menu. Full liquor service is available in the Brew Pub Cantina. Wasatch became Park City's first brewery since Prohibition in 1986. Featuring hand-crafted brews and ales such as Polygamy Porter, 1st Amendment Lager, and Evolution Amber Ale. 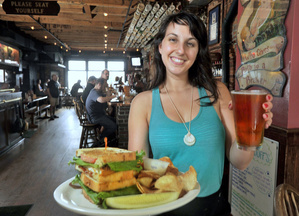 Wasatch Brew Pub and Brewery has become a staple of any visit to Park City. Utah's newest brewery, Bonneville Brewery, opened in Tooele in April of 2013. Nice atmosphere, restaurant downstairs, 21 and older for the pub upstairs. Next time you visit Bonneville Speedway, stop in and reward yourself to quality gourmet pub fare. 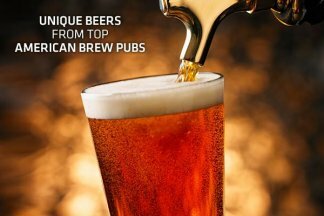 The following are really not brew pubs, they are bars who offer a ton of choices of locally brewed drafts from our breweries. Fiddler's Elbow - A Sports Bar - Must be 21 to get in. Craving comfort food? This American roadhouse serves what you're looking for in a casual, comfortable atmosphere. 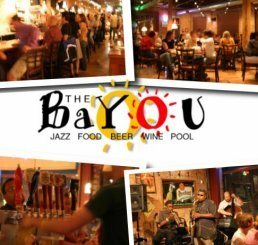 The menu offers up the comforts of home and tasty bar food, like the artichoke dip and nacho platter. Seasonal specials such as steamers and a pulled pork sandwich round things off. 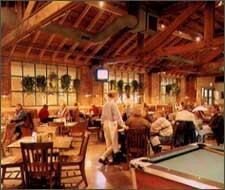 Pool tables, dart boards, City Weekly's "Best Comfort Food," 32 of Utah's best microbrews on tap. 10' by 6' high definition screen plus 24 other TVs.